SAN FRANCISCO (KFSN) -- In several social media posts, the San Francisco Giants have announced they'll retire Barry Bonds' #25 this summer. Mark August 11th, 2018 on the baseball calendar as the day it will happen. In one of the tweets on the official SF Giants Twitter account, they list every Giants player that's ever worn the #25. 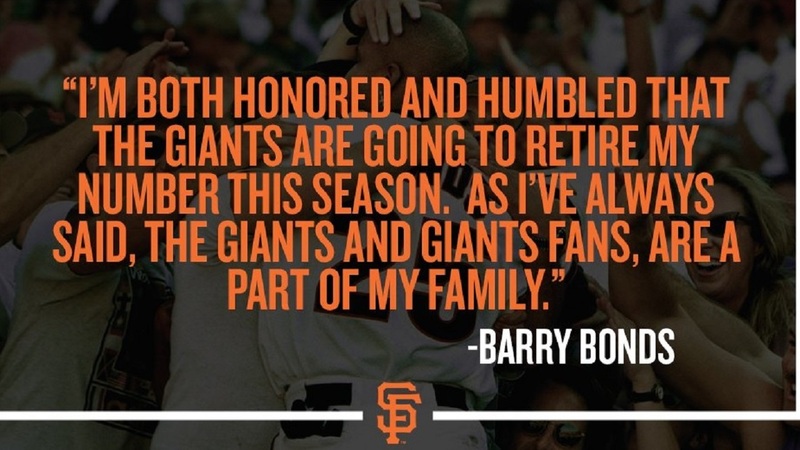 Barry Bonds says in one of the tweets, "I'm both honored and humbled that the Giants are going to retire my number this season. As I've always said, the Giants and Giants fans, are a part of my family."